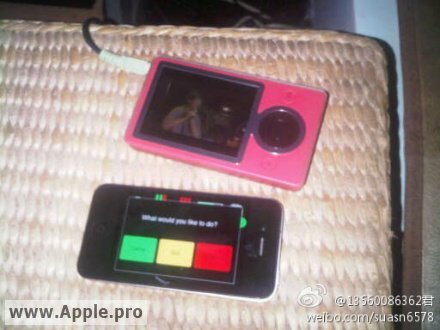 According to a post from a Weibo user – Reported by Appe.pro – who Alleges to have a prototype of the next iPhone, The design is the same as the iPhone 4. 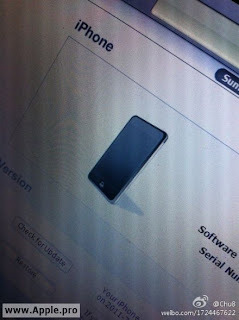 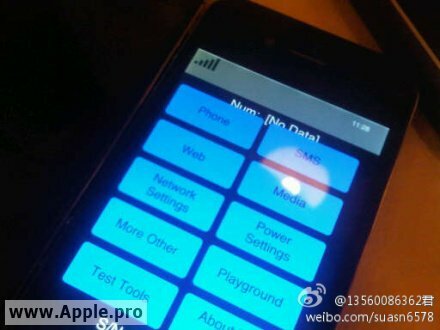 It’s running the iPhone test software which we have seen before on test units. 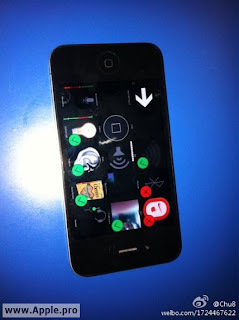 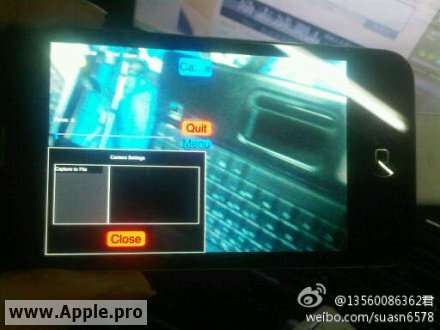 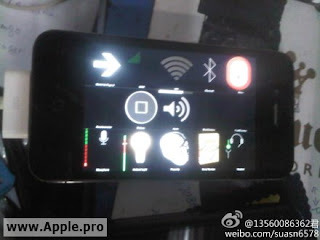 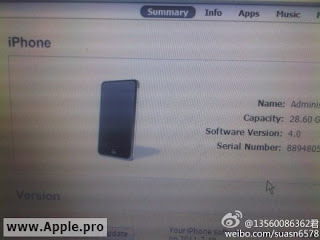 If it’s true and this is an iPhone 5 prototype, it’s more likely to be the N94 – The next-generation iPhone (prototype in all likelihood) – which has been spotted with support for T-Mobile USA bands, an A5 processor, and a 5 megapixel camera. This photo’s is most likely to be a prototype iPhone 4 from 2010 as it doesn’t Consistent with the more reliable reports that claims the iPhone 5 to be lighter and thinner. 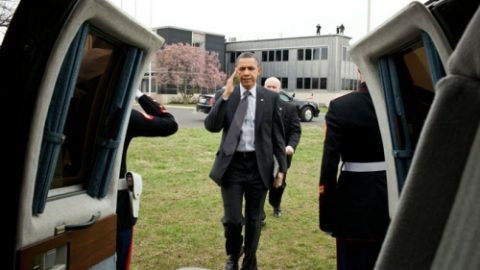 This is a syndicated post. 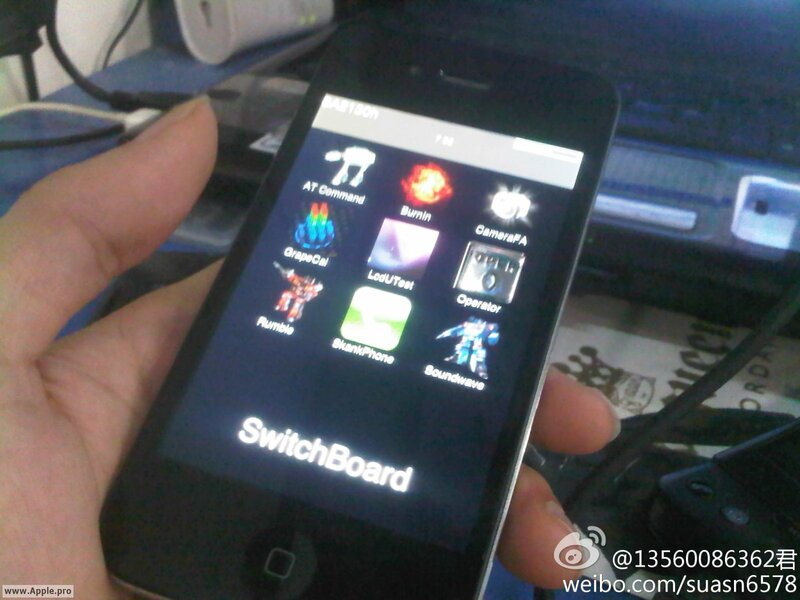 If you are interested please read the full article from its original source at Jailbreak And Unlock / PS3 / jailbreak iOS 5 / 4.3.1 / 4.3.2 / 4.3.3 - iPad 2 Jailbreak. 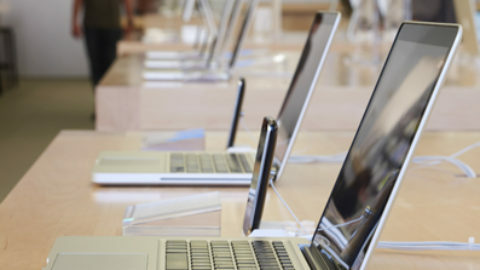 A $60,000 Worth Of Apple iPads Stolen From Best Buy In 60 Sec.